Africason | African School | Africa son | History | Black Consciousness | Education: Kwame Nkrumah- The Father of Africa. Kwame Nkrumah; The Father of Africa. Kwame Nkrumah was a real African leader. A visionary that was many years ahead of his contemporaries. Nkrumah was the first person to ever challenge the satanic colonial rule in Africa. He was a huge threat not only to Britain but to France and the rest of the colonial powers in Africa. Nkrumah is the father of Africa. See some videos below. Kwame Nkrumah's Independence Day Speech. 6th March, 1957. Those of us in the know knows there's always a western conspiracy to see Africa not moving forward. Because underdevelopment in Africa means development in the west. We're poor today because they're rich. And there's rich today because we're poor. When we get rich they will become poor or at least not as rich. Don't believe it? Ok, let me put it this way. When China was poor Japan was very rich including the west. When China became rich all of them became poorer and their economies started failing. Now, they all want China to fail so as not to continue to be a threat to their economies. Get it? There's no difference between that and Africa's relationship with the west today. It is in the interest of the west that Africa remains poor. It is only when we remain poor that they will keep making money from us because we will depend on them for most of our imports. The west can no longer make much money from China today because China can manufacture everything she needs. Not forgetting there's this US policy that ensures African scientists who travel to the US to learn are enticed to never return to help develop Africa. Another is the world bank and IMF which are nothing but neo-colonial instruments to keep poor nations perpetually loan dependent. I have written about this in a previous post. That's what Kwame Nkrumah is talking about in this video. Not the Illuminati. See video below. 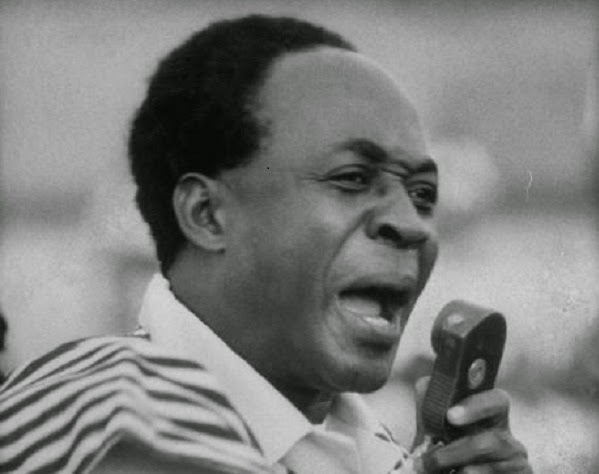 Kwame Nkrumah talks about Secret Forces Against Africa's Development. Kwame Nkrumah is the only African leader ever to understand that a nation cannot develop without investment in science and technology. So, immediately taking over the mantle of leadership as the first president of Ghana, one of the first thing he did was to start the building of a dam to be able to supply electricity to the young Ghana nation. Though the British were to frustrate him but his vision was in the right direction. Kwame Nkrumah is the Way. Enjoy!.